Read below the full statement issued by the PNC at the press conference on Wednesday. The Peoples’ National Convention (PNC) has appealed to the Attorney-General and the two deputy ministers who recently filed a conflict of interest suit against National Chairman of the New Patriotic Party (NPP), Jake Obetsebi-Lamptey, to immediately apply for a review of the Supreme Court’s decision on the matter. The PNC is also calling on Government to adapt the Accra Redevelopment Policy and any other policy of similar nature to serve the interest of the large public. The party says it fears that the Supreme Court is departing from its enviable standards giving credence to their own words that there is "SOMETHING BADLY WRONG WITH OUR JUDICIAL SYSTEM". At a press conference held in Accra today and addressed by the party’s General Secretary, Benard Mornah, the PNC said it is willing to assist the Plaintiffs with the full complement of its team of legal experts in order to seek a reversal of the majority decision of the Supreme Court. The Nkrumaist party maintains that though there are some positives in the ruling, two of the conclusions reached by the learned judges are “problematic”. Samuel Okudzeto Ablakwa, Deputy Minister of Information and Dr. Omane Boamah deputy Sports Minister had dragged the NPP chair to court accusing him of abusing his office in his purchase of a government building at the No 2 Mungo Street in the Ridge residential area. But on Tuesday, May 22nd, the Supreme Court, in a 9 - 0 decision, dismissed the claims of corruption, conflict of interest, abuse of office and cronyism writ filed by the two plaintiffs. And by a 6 – 3 decision, the court noted that the process used in acquiring the property, contrary to the claimants’ claims, was not unfair and illegal. “The claim of the Plaintiffs that the decision of the Government of Ghana to sell the disputed land to Jake Obetsebi-Lamptey is unconstitutional as being a gross abuse of discretionary power has not been proven (6 judges to 3 judges)….‘Mr. Jake Obetsebi-Lamptey may keep the disputed property, since his title to it has not been successfully impugned by the Plaintiffs (6 judges to 3 judges)’", transcripts of the ruling indicate. However, the PNC seems unhappy with those two pronouncemnents, and has therefore called on the judiciary to ensure their decisions particularly in election matters are so patently fair and just that peace in Ghana prevails. “The irresistible conclusion is that by arriving at the fourth and fifth conclusions above, the majority of the Supreme Court ignored the clear, patent and easy to understand provisions of the 1992 Constitution on the matter…The greatest challenge to our current democracy is the question of what we should do when the Supreme Court (in some cases the High Court), which has the exclusive jurisdiction to interpret and enforce the Constitution, neglects to do so,” the PNC said. SUIT NO. J1/4/2009, JUDGMENT DELIVERED ON 22ND MAY 2012. The People's National Convention (PNC) is compelled to issue the following statement on what is now called the Jake Obetsebi-Lamptey case. 2. The claim of the plaintiff's that the grant of the property to Jake Obetsebi-Lamptey is tainted with conflict of interest is not properly before the Supreme Court, since the proper body to deal with complaints about conflict of interest situations arising from the conduct of public officers is the Commission on Human Rights and Administrative Justice (CHRAJ) ((9 judges to 0 judges). 3. 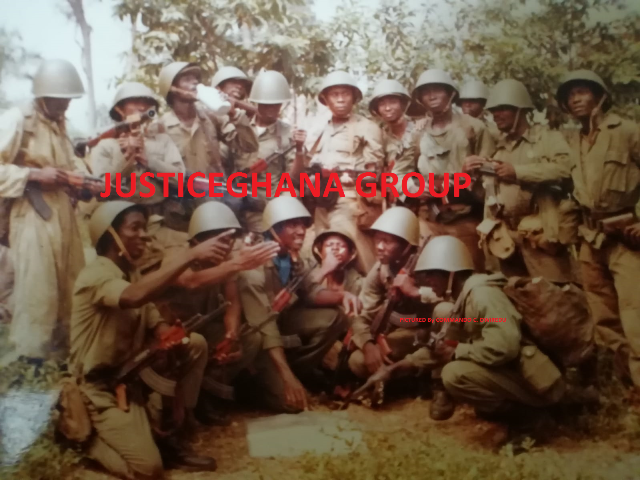 The claim of the Plaintiffs that the decision of the Government of Ghana to sell the disputed land to Jake Obetsebi-Lamptey is unconstitutional as smacking of cronyism, arbitrariness, capriciousness, and discrimination has not been proven by the Plaintiffs and therefore fails (9 judges to 0 judges). 4. The claim of the Plaintiffs that the decision of the Government of Ghana to sell the disputed land to Jake Obetsebi-Lamptey is unconstitutional as being a gross abuse of discretionary power has not been proven (6 judges to 3 judges). 5. Mr. Jake Obetsebi-Lamptey may keep the disputed property, since his title to it has not been successfully impugned by the Plaintiffs (6 judges to 3 judges). There are some good things about the judgment of the Supreme Court summarised above. First, the attempt to impugn the capacity of the plaintiffs was disallowed by the Supreme Court. This is very good news because in similar cases in the Supreme Court, some judges have held that such a right did not avail the Ghanaian citizen. In this regard, it is commendable that the Supreme Court has emphatically stated that where a citizen alleges on concrete grounds that a provision of the Constitution has been violated that citizen should be given unrestricted access to the Supreme Court to vindicate her claim. This is a plus for democracy and good governance. We must indeed congratulate the Supreme Court for reaching the first conclusion which reaffirms the principle of almost unfettered access to the Supreme Court to vindicate any claim that a person has acted unconstitutionally. This is important if ordinary citizens are to continue to participate meaningfully in growing and nurturing our young democracy. We again congratulate the Supreme Court for reaching the second conclusion. The Constitution is crystal clear that any complaint concerning conflict of interest of a public officer must be reported to the CHRAJ to be dealt with in accordance with the provisions of the Constitution. The Supreme Court did well by giving effect to the clear and unambiguous provisions of our 1992 Constitution. The third conclusion of the Supreme Court cannot also be quarreled with. There was some, but not enough evidence from which to conclude that there was cronyism, arbitrariness, capriciousness, and discrimination in the allocation of property under the Accra Redevelopment Scheme. Where a person alleges that another has acted inappropriately, she must prove same, unless in appropriate cases the burden is shifted to the defendant. The last two conclusions of the Supreme Court are however problematic. It is clear that the 1992 Constitution requires that public lands be held in trust for the people of Ghana and used in the interest of the public. Indeed, Article 36(8), which the Supreme Court has now held is justiciable, provides that: "The State shall recognise that ownership and possession of land carry a social obligation to serve the larger community and, in particular, the State shall recognise that the managers of public...lands are fiduciaries charged with the obligation to discharge their functions for the benefit...of the people of Ghana...concerned and are accountable as fiduciaries in this regard". Further, clause (1) of article 34 enjoins the Judiciary to be guided by the Directive Principles of State Policy contained in Chapter Six of the Constitution, including Article 36(8) “in applying or interpreting [the] Constitution or any other law and in taking and implementing any policy decisions for the establishment of a just and free society”. The parceling out and dolling out of public lands in choice communities in the heart of the administrative district of Accra, the capital city, to private interests, without more, cannot be said to be in the public interest given the need for accommodation by public officials in areas close to the part of town where they work. Again, the allocation of the house to Jake Obetsebi-Lamptey was not done in accordance with the rules set out for same and was consequently not fair and transparent, did not receive the input of cabinet, and did not received the input of the minister responsible for lands as required by Article 258 of the 1992 Constitution. The extent, to which the Supreme Court went to impugn the integrity of an extract of the minutes of Cabinet on the proper procedure that was agreed for the allocation of lands, in the absence of a claim by any of the parties that the extract was not authentic, is suspicious indeed. Both the Plaintiffs and the Defendants relied on the document to make their arguments, further reinforcing the presumption that they are an extract from the regular minutes of the Cabinet. The fact that they were submitted by and sworn to by the Attorney-General's office on pain of perjury should ensure that they are presumed to be regular unless otherwise stated. It is worrying that the majority of judges in this case were dead set on ensuring that the transactions leading up to the allocation of the disputed house to Jake Obetsebi-Lamptey were rationalised in the face of clear evidence that the transactions breached clear and unambiguous provisions of the 1992 Constitution, in particular Article 258. It is clear that the majority decision of the Supreme Court based their decision on a strict constructionist and narrow interpretation of the Constitution. This is contrary to the clear terms of the Interpretation Act which provides in its Section 10(4) that "a Court shall construe or interpret a provision of the Constitution or any other law in a manner...that promotes the rule of law and the values of good governance...that advances human rights and fundamental freedoms...that permits the creative development of the provisions of the Constitution and the laws of Ghana, and...that avoids technicalities and recourse to niceties of form and language which defeat the purpose and spirit of the Constitution and of the laws of Ghana. What the majority of the Supreme Court did in this case was to use technicalities to ensure regress in good governance and plunder the spirit of the Constitution. The insistence by the Supreme Court, in the absence of any objection by any of the parties, and in the face of reliance on it by all the parties in the suit, that a Cabinet document, sworn to and exhibited by no less a person than the representative of the Minister for Justice and Attorney-General, is not authentic, and the use of this reason as a smoke screen for allowing unconscionable actions by public officers is dangerous, especially in the face of gargantuan difficulties in accessing public documents and the absence of a freedom of information Act. The irresistible conclusion is that by arriving at the fourth and fifth conclusions above, the majority of the Supreme Court ignored the clear, patent and easy to understand provisions of the 1992 Constitution on the matter. In Tema Development Corporation and Musah v. Atta Baffour [2005-2006] SCGLR 121, it was held that our courts will not allow a decision which "is so outrageous in its defiance of logic or of accepted moral standards that no sensible person who has applied his mind to the question to be decided could have arrived at it. Whether a decision falls within this category is a question that judges by their training and experience should be well equipped to answer, or else there would be something badly wrong with our judicial system." The PNC fears that the Supreme Court is departing from these enviable standards it has set itself and that, in their own words, there is "SOMETHING BADLY WRONG WITH OUR JUDICIAL SYSTEM". The greatest challenge to our current democracy is the question of what we should do when the Supreme Court (in some cases the High Court), which has the exclusive jurisdiction to interpret and enforce the Constitution, neglects to do so. There have been three reactions by Ghanaians to decisions of this kind by the Supreme Court. The first has been that beneficiaries of these decisions of the Supreme Court have hailed them. This is unacceptable and must be condemned in the strongest possible terms. The second reaction has been to say nothing and do nothing about the decisions. This is also not acceptable. This is because the Constitution demands that all Ghanaians must defend the Constitution, even unto death. The third reaction has been to make statements or take steps that do not allow for the realization of the benefit of the decision. This is what the current government has done by stating that it will not release the disputed house to Jake Obetsebi-Lamptey. Again, this is unacceptable and must be condemned. None of these reactions have been able to restore to us a Supreme Court, like the Supreme Court of old, which was able to say to the government that appointed them that it could no longer celebrate the anniversary of the coup d'état which brought them to power; which was able to say to the national broadcaster, then under the control of the ruling party, that it must give equal treatment and facilities to all political parties; which was able to quash permit laws that prevented peaceful demonstrations by opposition forces against policies of the ruling government. A related concern of the PNC is that “Trust in the Ghanaian courts is minimal according to recent studies on the subject. The March 2008 Round 4 Afrobarometer Survey in Ghana confirms this assertion. The study showed that only 30% of respondents had a lot of trust for the courts in Ghana. Luckily, 28% had somewhat trust in the courts and 23% had just a little trust in the courts, while 15% did not trust the judicial institutions at all...Comparing the...scores on trust in the courts to what obtained three years earlier, it is observed that the level of trust in the courts has dropped. The 2005 Survey showed that 35% of respondents had a lot of trust in the courts." The Supreme Court is not making it any easier for Ghanaians to trust them. Another concern of the PNC is that this is an election year and many matters, including electoral disputes, may come to the courts for adjudication. Ghanaians need to trust that the judges will decide these cases constitutionally and fairly. Ghanaians need to know that the courts will protect the interest of the larger public and decide cases fairly. This is the surest way to assure the integrity of the State by ensuring that the citizens the use courts of law to settle their disputes rather than resort to extra judicial measures. 1. The PNC calls on the Government of Ghana to adapt the Accra Redevelopment Policy and any other policy of similar nature to serve the interest of the large public. 2. The PNC calls on Ghanaians who are praising the majority decision of the Supreme Court to stop same forthwith. 3. The PNC calls on all Ghanaians to use temperate and productive language to register their displeasure with the decision of the Supreme Court. 4. The PNC calls on the Plaintiffs and the Attorney-General to immediately apply for a review of the decision of the Supreme Court. 5. The PNC calls on Ghanaians to remain vigilant and persevere, using only legal mechanisms to secure the reversal of the decision of the Supreme Court. 6. The PNC calls on the Supreme Court to ensure that its decisions inspire public respect and confidence in the judiciary. 7. The PNC finally calls on the judiciary to ensure their decisions in election matters in this election year, and soon thereafter, are so patently fair and just that peace in Ghana would prevail. The PNC promises in the interest of our beloved Ghana, to assist the Plaintiffs with the full complement of its team of legal experts in order to seek a reversal of the majority decision of the Supreme Court.